Corporate Portrait Photography in Geneva by professional photographer Patric Pop. Parallel to the high-end headshots delivered for clients all over Switzerland, Patric Pop gets commissioned to create portrait photography of CEOs, Executive Committee members and top management of national companies and international organisations. These portraits showing the stakeholder in their work environment are used for the company’s communication material, websites, annual reports, social media and press releases. 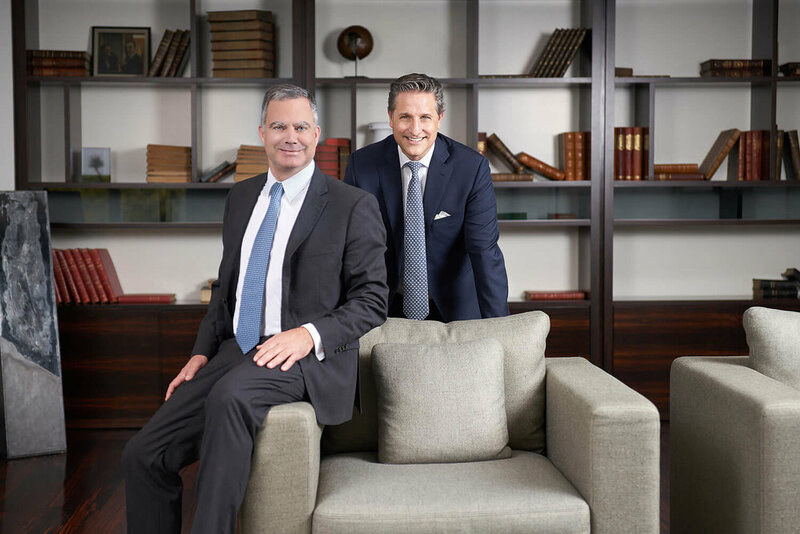 Portrait of the founders of Lotus Partners headhunting firm in Geneva. 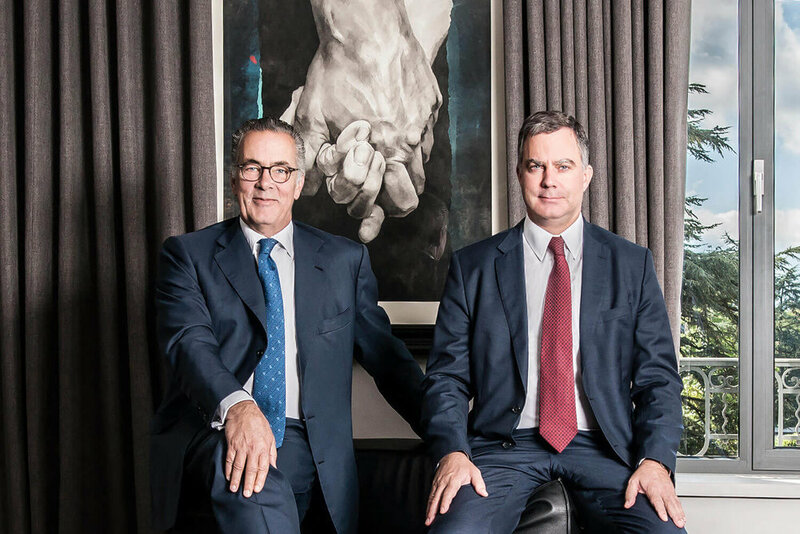 Portrait of the CEOs of Geneva based Banque Heritage and Basel based Sallfort Bank announcing their fusion. 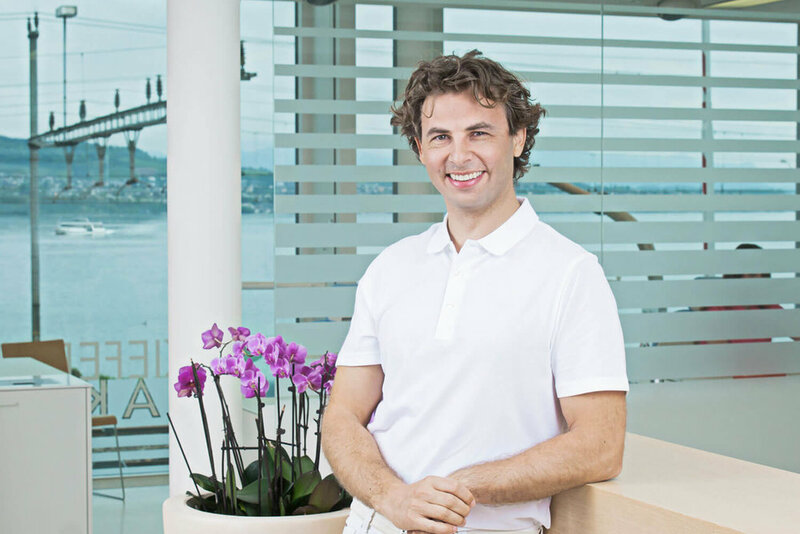 Portrait of the founder of the gorgeous orthodontics practice LAKESIDE KIEFERORTHO near Zurich at work. Sometimes, even with a mask covering most of the face we will get fabulous expressions. Corporate portrait of orthodontist Dr. med. dent. Alexander Dudic (PHD) in front of the treatment room overlooking lake Zurich. Portrait of Barbara Dalibard, the new CEO, after joining SITA Société Internationale de Telecommunications Aéronautiques from SNCF where she served as Chief Executive Officer of SNCF Voyageurs. The idea was to portray the warmth of her personality and the sharpness of her analytical mind. Corporate Portrait of Barbara Dalibard photographed in an informal meeting with a team of SITA (Société Internationale de Telecommunications Aéronautiques) executives and team members. 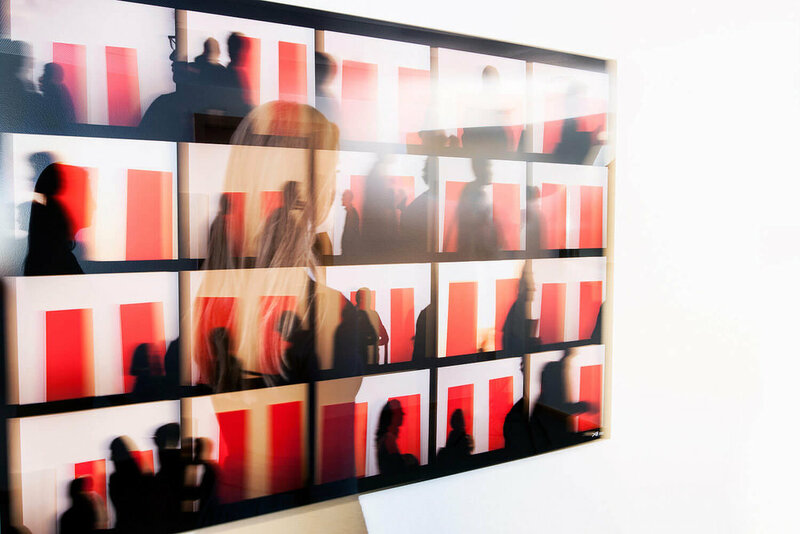 Corporate Portrait of media buying agency MEDIATONIC’s founders Chris Flückiger, Marco Rose, Claudia Schroeder and Matthieu Robert showing their identity with Geneva. For this picture, Patic Pop asked to get on the building’s rooftop to capture the view with the Jet d’eau. 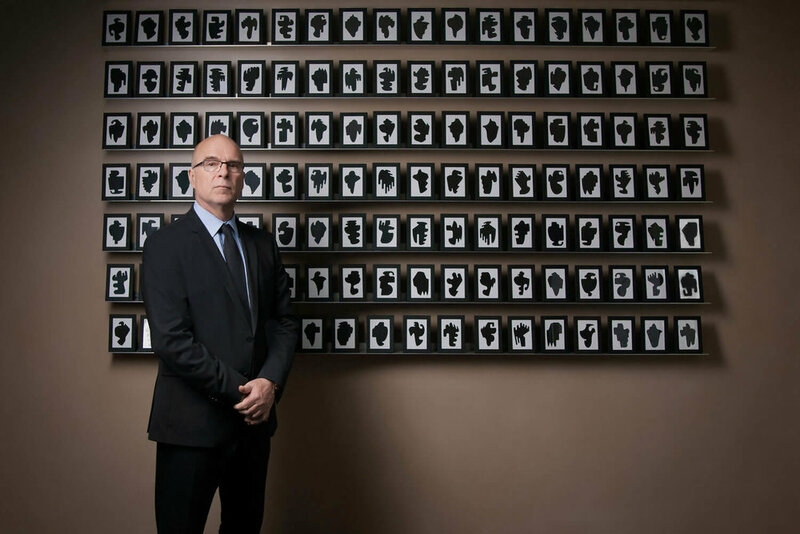 Corporate Portrait of Heritage Partners’ CEO Adrian Vogel in the Geneva office where he welcomes clients to consult on Private Banking and Asset Management activities (UHNWI, Families, and Institutions). Headhunter Christophe Mauron over the roof of old town Geneva. The founders of Litigium who offer law consultation for everyone in Geneva. Portrait of Jean-Charles Rios of Gestocigars in Geneva breaking down the walls of high-priced cigars. This image was a huge success with clients and press. Interested in corporate portraits? please complete this contact form. with my long experience as award-winning Creative Art Director in leading communications agencies, I always keep in mind the potential usage of the images. It will be my pleasure to consult you on your upcoming project.